The traits clinicians call psychopathic can actually be an asset in the C-suite — up to a point. 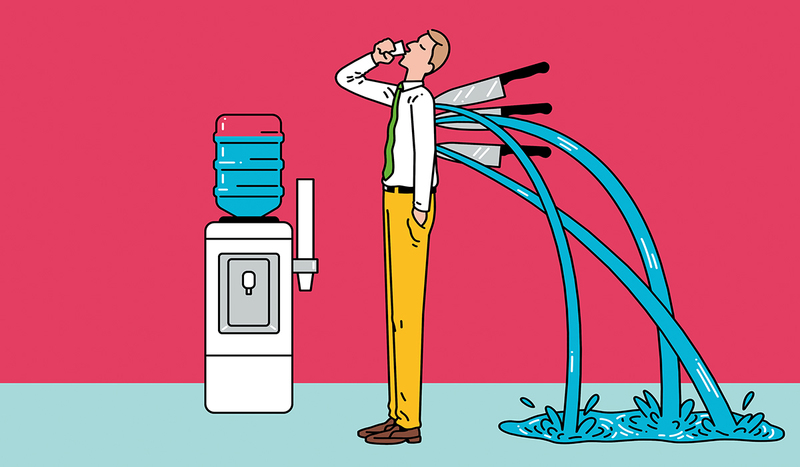 You dont have to be crazy to be the boss, but it can help  at least some of the time. As part of his Ph.D. research, a forensic psychologist in Australia named Nathan Brooks examined 261 corporate professionals in the supply-chain management industry. He discovered that 21 percent of those professionals had clinically significant levels of psychopathic traits  thats about equivalent to the occurrences of psychopathic traits in the prison population. Brooks says the term successful psychopath has emerged in the wake of the 2008 financial crisis to describe high-flying professionals with psychopathic traits such as insincerity, a lack of empathy or remorse, egocentricity, charm, and superficiality. Brooks, who conducted his research along with Katarina Fritzon of Bond University and Simon Croom of the University of San Diego, argues that such evidence of psychopathy in the C-suite or among high-ranking professionals means recruiters and businesses look too much at a persons resume and achievements and not enough at their personality. Brooks argues that psychological screening would weed out these corporate psychopaths. 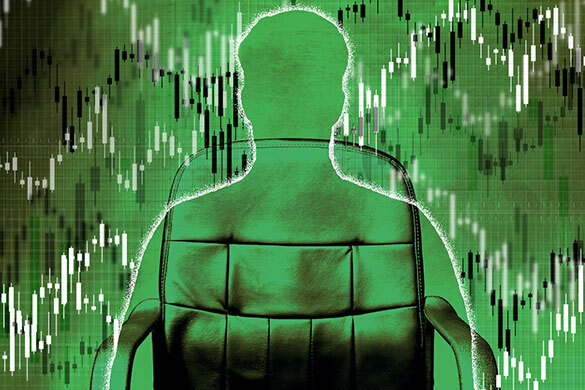 But some investors and management experts have long argued that being a bit of a psychopath  or, in non-clinical terms, a selfish jerk  can be a benefit when it comes both to personal professional success and building and running a successful corporation. The type of selfish drive and confidence needed to push a company forward lends itself to people who can have the tenacity, lack of empathy, egotism, and extreme self-belief that are also associated with sociopaths  or so the argument goes. Wall Street and its investors, who prize management above (almost) all else, apart from earnings, tend to reward the psychopath in the corner office, often with good reason. The classic example is Steve Jobs. The Apple co-founder was notorious for being difficult and prickly  he denied the paternity of his own daughter and then publicly questioned the reliability of paternity tests  but his drive and ambition were regarded by investors and analysts as key to the companys success. After Jobs was pushed out as CEO, Apple flailed; it was only after his return that the company became the electronics juggernaut it is today. But Jobs, who died in 2011, also illustrates the problem of the egotistical CEO. He was pushed out of his own company in 1985 because of his inability to play well with others. Silicon Valley has tended to recognize that the type of personality best suited to building a startup company might not be the best person to run it  which is why Jobs was not made CEO during his first time around at Apple. Bringing in an older, steadying hand as the company enters the final pre-IPO stages of its growth is a standard venture capital move. But it is sometimes hard for founders to step back. 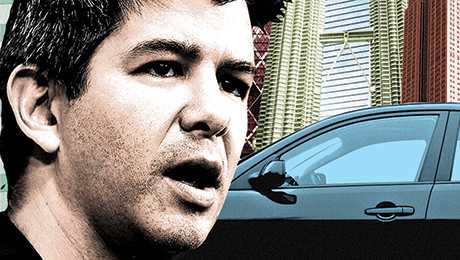 Take Uber, which appears to be grappling with an extreme version of the founder/CEO dilemma. Ubers CEO, Travis Kalanick, has long had a reputation for being what might generously be termed difficult. In 2014 he and one of his senior vice presidents got into a spat with the media over the threat of female Uber passengers being raped and how the firm might fight back against journalist critics. But when it came to breaking into the taxicab business, Kalanicks hard-charging style paid dividends. Now, however, after a series of scandals that culminated in a video of Kalanick berating a driver who questioned the companys policy over pay, Kalanicks leadership is under question. Kalanick has admitted he needs leadership help, and the company is now looking for a chief operating officer. Despite this setback, however, Uber is still adding investors. In some cases the CEOs personality does not even have to feature into the equation for a company to receive blowback for what looks like corporate arrogance. United Continental Holdings, which owns and operates United Airlines, is under pressure from consumers after a passenger was forcibly removed from an overbooked flight. After a disturbing video of the incident went viral, CEO Oscar Munozs initial response came across as cold and unfeeling, sparking instant outrage and a drop in share prices. Munoz has since apologized. Then there is the corporate executive currently occupying the Oval Office. As a star of The Apprentice, Donald Trump fronted a TV show that showed corporate success as a series of dog-eat-dog contests and boardroom humiliations. Now Trump is president of the United States  and at least one academic researcher has ranked him high on the psychopathic scale. Kevin Dutton, a research psychologist at the department of experimental psychology at the University of Oxford, has said that Trump scored higher than Adolf Hitler on a test designed to show psychopathic tendencies.